A Glynn resident has called for dog owners in the village to act responsibly by cleaning up after their pets. 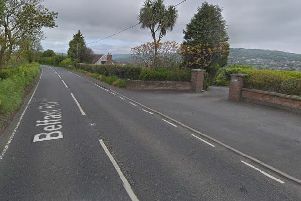 The irate woman, who did not wish to be named, contacted the Larne Times to express her frustration with the level of dog fouling, particularly in the Glenburn Road area. She said: “We have a lovely village and the community group and other villagers are doing their best to make the place clean and tidy. The concerned resident claimed that pavements are “covered in mess for weeks” and added: “People are walking into this, especially at night. “I would ask everyone who owns a dog to carry bags and clean up after them. “If you are not prepared to do this then you should not have a dog. “I am quite sure you wouldn’t put up with this at your own doorstep and I don’t see why residents of Glenburn Road should have to,” she concluded.